mBraining With Horses provides personal and professional development programs and training employing a multi-faceted, relationship-based approach to Equine Experiential Learning. Founded in 2005, by Cheryl Parkinson, drawing on mindfulness, embodied leadership practices, body mind connection principles and breath awareness for controlling and balancing the ANS in horsemanship and riding programs, we evolved with a new focus in 2008 after undergoing training in numerous modalities and methods in the newly emerging field of equine assisted leadership training and human development that originated in the USA. We began with integrating horse programs with Emotional intelligence competencies. As we evolved and learned more through our practice, we have adapted to incorporate the rapidly emerging research from Affective Neuroscience. The programs reflect a life-long experience and passion for horses, human development and the outdoors, along with the guiding belief in the connection between nature and our sense of well-being and health. The programs draw on and integrate an extensive background and training with USA based practitioners in various modalities and approaches to Equine Faciltated/Assisted Learning, Coaching and Psychotherapy as well as Cheryl's BA in, and years of experience facilitating Leadership and Adventure / Experiential Education programs. Cheryl is a Gawler Foundation trained mindfulness meditation teacher, has a 30 yr Tai Chi/QiGong practice, along with training in BodyMindSpirit, Presence based and somatic coaching practices. She is an NLP practitioner, certified Master executive coach and Coaching with Archetypes master coach. Individual coaching or Group programs are offered for anyone involved in leadership and relationship with others. We specialise in leadership, executive and human resource management, team building, education, sales training and health care industries along with organisational change management. The dynamics of the horse/human relationship are highly self-reflective and non-judgmental. How we connect, engage and motivate a horse, without the use of dominating or coercive behaviors, reflects how we connect, engage and motivate our selves and those around us. Fall back perspectives and behaviors naturally surface, enabling the participants to see themselves in a fresh light. Powerful life metaphors provide clarity as insights emerge into our conditioned and authentic selves. Easy-to-use tools are introduced throughout the experiential exercises, illuminating a path for positive, lasting change to take hold. The regenerative and healing benefits of linking nature, horses and humans for interpersonal and intrapersonal growth contributes to healthy biological, social, economic, environmental, life satisfaction and spiritual outcomes. Our multi-dimensional process incorporates the suite of Multiple Brain Integration Techniques along with The Accretive Coaching Process℠, which is an educationally-based approach to leadership development that leverages the plasticity of the brain to spark neurogenesis in the prefrontal cortex. By introducing a series of novel, peer-reviewed, scientific concepts, the process cultivates a neurological shift in the participant's response to adaptive challenges; challenges in which we have yet to discover the answers. This breaks habitual, neurological responses to novel stimuli (constrained thinking) by retraining the brain to seek out new neural connections when challenged, enabling divergent, spherical and creative thinking to emerge. In addition, our experiential learning workshops and seminars accelerate leadership and organisational development. Programs can be conducted almost anywhere where there is access to horses and classroom space. 3 Victorian venues are: in the Dandenong Ranges - approx. 45 minutes from Melbourne; Torquay, 1 hour west of Melbourne or Howlong near Albury. We provide a number of options in crafting a training with either a one off or weekly offering and can fully cater meals for a 1, 2, 3 day or longer program as well as accommodation and meal options for groups for multiple day programs. We also conduct fully catered residential programs for small or large groups at a private and peaceful 400 acre property on the banks of the Murray River near Albury with a herd of resident horses. We are focused on providing professional services with the highest levels of customer satisfaction – we will do everything we can to meet your expectations. With a variety of unique and powerful offerings to choose from, we’re sure you’ll be happy working with us. Look around our website and if you have any comments or questions, please feel free to contact us. We hope to see you again! Check back later for new updates to our website. There’s much more to come! We are unique in the field of Learning, Training and Development with horses as we are the first and only program in the world that is grounded in peer reviewed research that draws on interpersonal neurobiology along with proven and ground breaking tools and techniques to communicate with, align and integrate our multiple centers of intelligence. 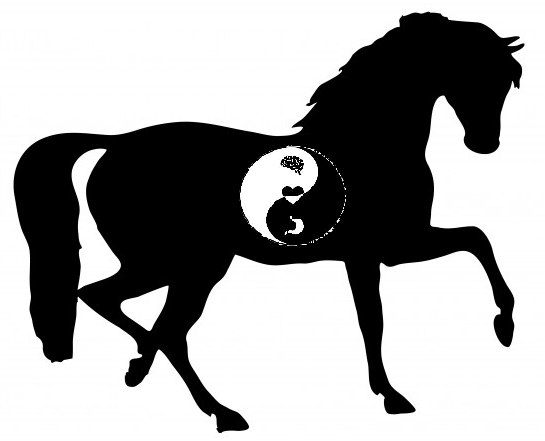 We partner humans with horses in a process of transformation, that enhances all dimensions of emotional intelligence competencies along with re-connecting, aligning and integrating the head, heart and hara (gut) wisdom. Our programs provide multi-dimensional strategic and leadership development solutions that deliver creative, adaptive and competitive advantage for our clients. Our integrative approach optimises and aligns leadership, strategy and organisational culture to create innovative, breakthrough performance for today’s multi-cultural, multi-generational workforce. Our evidence-based approach integrates two decades of real-world, executive leadership experience with more than 200 peer-reviewed, published research studies from the fields of Neuroscience, Biochemistry, Emotional Intelligence, Applied Behavioral Economics, Performance Psychology, Core Mammalian Emotional Systems, Creativity, Quantum Physics and Adult Learning Styles. Added to this is over 600 references and research papers reviewed in the development of mBraining. We can meet the needs of organisations throughout Australia as we are aligned with facilities interstate and regularly conduct workshops in Vic. Qld, NSW, Tasmania, WA and NT. A number of professionals are part of the Windhorse team as Cheryl often teams with other aligned professionals to provide equine services to facilitate an experience or journey for their own clientele.